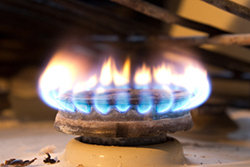 Part-time landlords across the UK could be putting their tenant’s lives at risk by being unaware of gas safety legislation. According to a survey conducted by Atomic Research on behalf of British Gas, as much as 20% do not carry out the compulsory annual gas safety checks with a third of these being unaware that it is in fact a legal requirement. Gas safety checks will not only identify any issues with faulty boilers, but are important for helping prevent gas leaks, explosions and carbon monoxide poisoning. Some 38% of landlords in the ‘non-traditional’ rental sector, which includes holiday lets and lodgers, do not know that they actually have a legal obligation to have a safety check done on all gas appliances on their premises. These checks should be carried out by a Gas Safe Registered engineer annually to ensure all gas appliances are safe and functional. Landlords should also make sure anyone staying in their properties is safe from carbon monoxide poisoning. This is a legal requirement for any property using a solid fuel appliance such a wood-burner or anything else that requires using a type of solid fuel, such as coal or wood. Any landlord who is unsure of what they need to do to make sure they are looking after the safety needs of their tenants can get some helpful advice here. Alternatively get in touch with your local Northwood office who can also assist in booking an annual check.